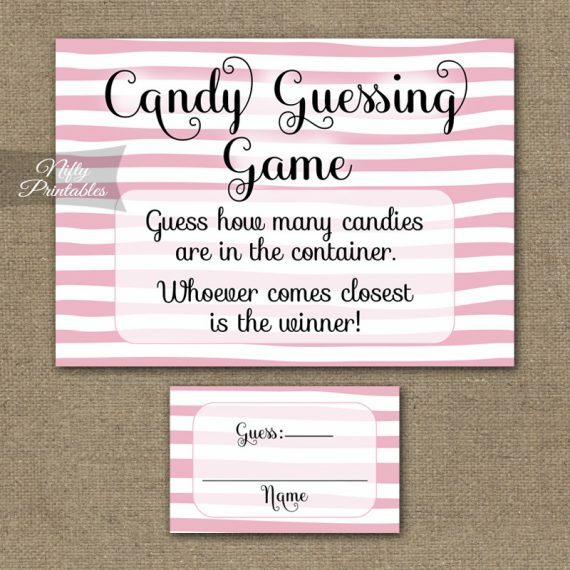 Printable Candy Guessing Game for showers and parties. 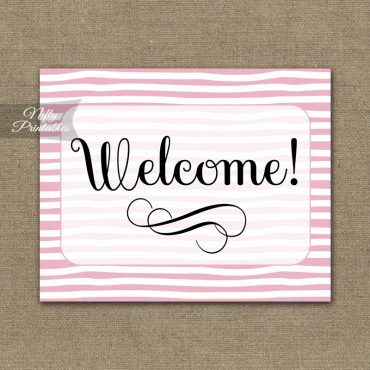 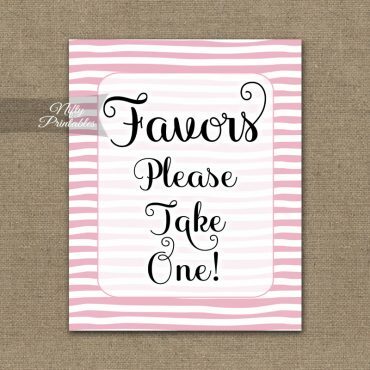 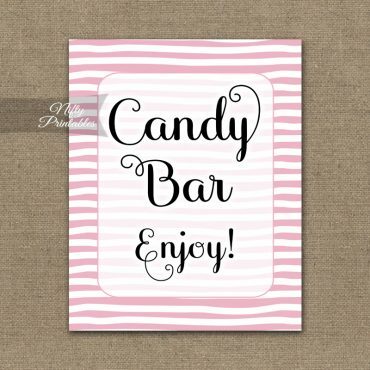 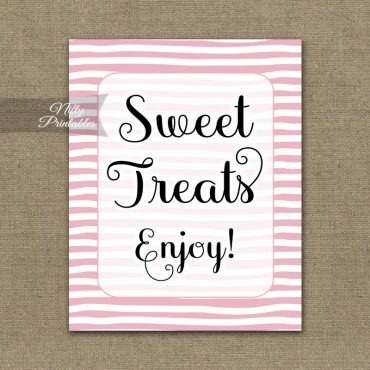 Cute pink and white hand drawn horizontal stripes with a dose of whimsy. You Get: 2 PDF files - one 5" x 7" sign for the jar/container and one 8.5" x 11" file with 8 game cards. 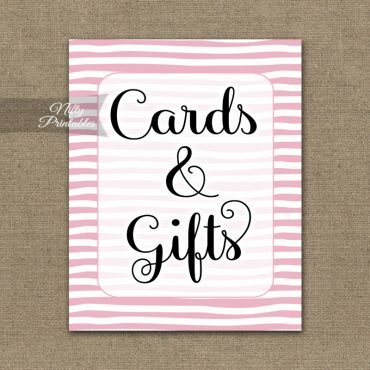 Simply print & cut.